A new movement began when the adivasis of Chotanagpur responded to the call of Fr. Lievens. According to the histrical notes the first missionary to step into Gangpur was Fr. Fierens, SJ, in 1884. He was chaplain at the british military Garrison in Sambalpur. He had made extensive notes to Fr. Grosjean, his superior and Archbishop Goethals. In 1909, Fr. Grosjean came to Kesramal and started the first mission station in Gangpur. Eventually, the Jesuit missionaries opened five mission stations at Hamirpur (1919), Gaibira (1922), Jhunmur (1924) and Kusumdegi (1929). Gangpur mission was the fondest part of the chhotanagpur mission. The first SVD Missionary, Fr. Stanislaus Wald arrived in Gaibira on July 11, 1948. This was the marking of a new beginning in the history of Gangpur mission. When it began in Kesramal it had 6000 Catholics, and when the Society of the Divine Word (SVD) took it over in 1948 the number had increased to 65,000. In June 1951, by taking over parts of the Archdioceses of Calcutta, Ranchi and Nagpur this mission territory was culled out and a new diocese was officially crated. 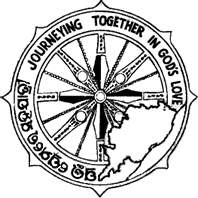 The new diocese comprised four civil districts of Orissa i.e. 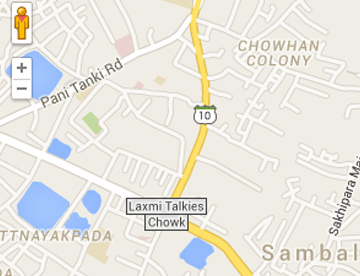 Sundargarh, Sambalpur, Bolangir and Dhenkanal and had an area of 46964 Sq. kms. The Catholics consisted mainly of four tribal groups of Chhotanagpur – Khadias, Kisans, Mundas, Oraons. Msgr. 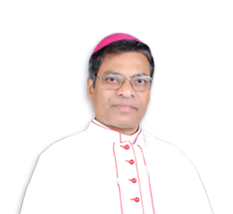 Herman Westermann was appointed the new bishop of Sambalpur and was consecrated on July 22, 1951. The area was then very primitive with no communication facilities and with very little educational facilities. Bishop started his task of building up the diocese with five parishes, 65000 Catholics, 20 SVD priests and 23 sisters. Developing the Christian community was his primary task. He built parishes, churches, schools, hostels, dispensaries etc. He trained and developed a group of catechists who were the real frontier missionaries. 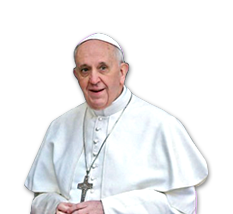 He was convinced that the participation of women religious was essential in the evangelisation and faith formation. Therefore, he nourished and developed the congregation of the handmaids of Mary although Fr. Edmund Harrison, SJ in 1944, founded it. The handmaids have rendered yeoman service in developing the Christian Community in Sambalpur diocese through faith formation. By the time Bishop Westermann retired in 1974, the Catholic community had grown to 1,33,000 and was spread over in 30 parishes and 312 mission stations.